We are looking forward to seeing you again after a very cold Thanksgiving week! Last Thursday and Friday the night-time low hit 11 F, 19 degrees below average in Lexington. We put extra row covers over our spinach, cilantro, lettuce, scallions, parsley and kale in the field to protect our crops from wind and cold. Each layer of heavy row cover adds a few degrees of protection from cold, and significantly blocks the wind. Shielding veggies in the field from wind is the most important part of growing at this time of year! I was relieved and grateful to find that almost all of our crops came through the cold snap, except for a few beds of lettuce. This will be the last time lettuce appears in the Fall Share (in the form of a wintry salad mix), and unfortunately we won’t have enough for the farm stand this time. Lots of fresh cilantro, scallions, parsley and kale for all! During this season of thanksgiving I’m focusing on the positive. I’m feeling especially grateful to be part of a community that values the contribution of a small farm to our local food system. Resilience and creativity abound on farms like this one. Our small scale allows us the agility to be adaptive and responsive to extreme weather patterns. Our diversification allows us to celebrate the successes of crops that fare well in a given season, and recover from crops that had a tough year. 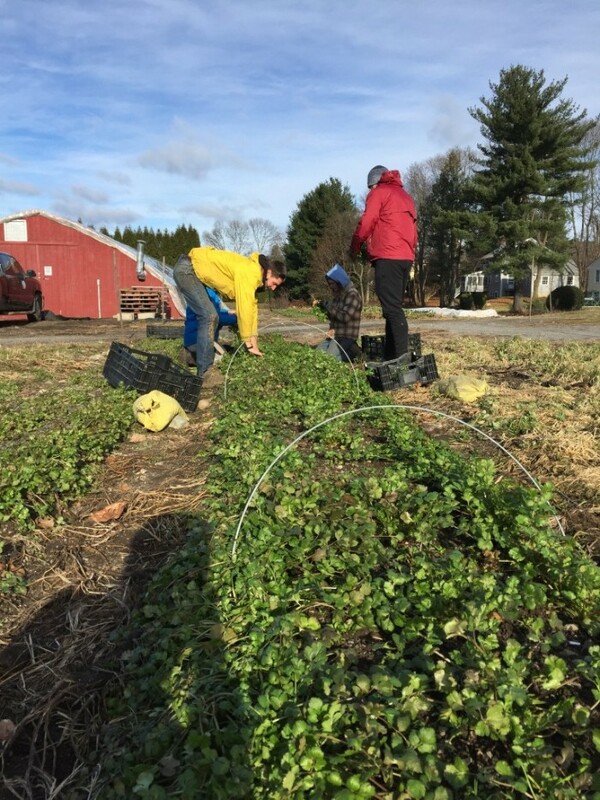 Our community’s willingness to try new varieties, change dinner menus on the fly, and relish the bounty that comes from our fields, whatever it may be, allows us to continue practicing resilience.